It is by faith in Christ that we are justified by God, and there is nothing that can separate us from the love found in Him no matter what. 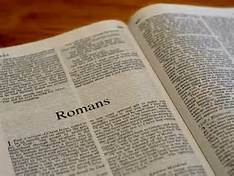 (Romans 8:30-39) Moreover whom he did predestinate, them he also called: and whom he called, them he also justified: and whom he justified, them he also glorified. What shall we then say to these things? If God be for us, who can be against us? He that spared not his own Son, but delivered him up for us all, how shall he not with him also freely give us all things? Who shall lay any thing to the charge of God’s elect? It is God that justifieth. Who is he that condemneth? It is Christ that died, yea rather, that is risen again, who is even at the right hand of God, who also maketh intercession for us. Who shall separate us from the love of Christ? shall tribulation, or distress, or persecution, or famine, or nakedness, or peril, or sword? As it is written, For thy sake we are killed all the day long; we are accounted as sheep for the slaughter. Nay, in all these things we are more than conquerors through him that loved us. For I am persuaded, that neither death, nor life, nor angels, nor principalities, nor powers, nor things present, nor things to come, Nor height, nor depth, nor any other creature, shall be able to separate us from the love of God, which is in Christ Jesus our Lord……… (Romans 5:1-8). We are cleared of all guilt by the grace of God and because of His mercy shown to us we are saved and renewed from within by His spirit! (Titus 3:4-8). But after that the kindness and love of God our Saviour toward man appeared, Not by works of righteousness which we have done, but according to his mercy he saved us, by the washing of regeneration, and renewing of the Holy Ghost; Which he shed on us abundantly through Jesus Christ our Saviour; That being justified by his grace, we should be made heirs according to the hope of eternal life. This is a faithful saying, and these things I will that thou affirm constantly, that they which have believed in God might be careful to maintain good works. These things are good and profitable unto men. As Christians we are dead to sin and crucified with Christ, we no longer live in the life of the flesh in sin as we once did but Christ lives through us by the faith we have in Him! Therefore we are not justified by the works of the law, but are set free by believing in the Son of the Living God! (Galatians 2:16-21). Knowing that a man is not justified by the works of the law, but by the faith of Jesus Christ, even we have believed in Jesus Christ, that we might be justified by the faith of Christ, and not by the works of the law: for by the works of the law shall no flesh be justified. But if, while we seek to be justified by Christ, we ourselves also are found sinners, is therefore Christ the minister of sin? God forbid. For if I build again the things which I destroyed, I make myself a transgressor. For I through the law am dead to the law, that I might live unto God. I am crucified with Christ: nevertheless I live; yet not I, but Christ liveth in me: and the life which I now live in the flesh I live by the faith of the Son of God, who loved me, and gave himself for me. I do not frustrate the grace of God: for if righteousness come by the law, then Christ is dead in vain.